One of the key things that first attracted me to KEGS was the concept of the ‘research-engaged learning community’. 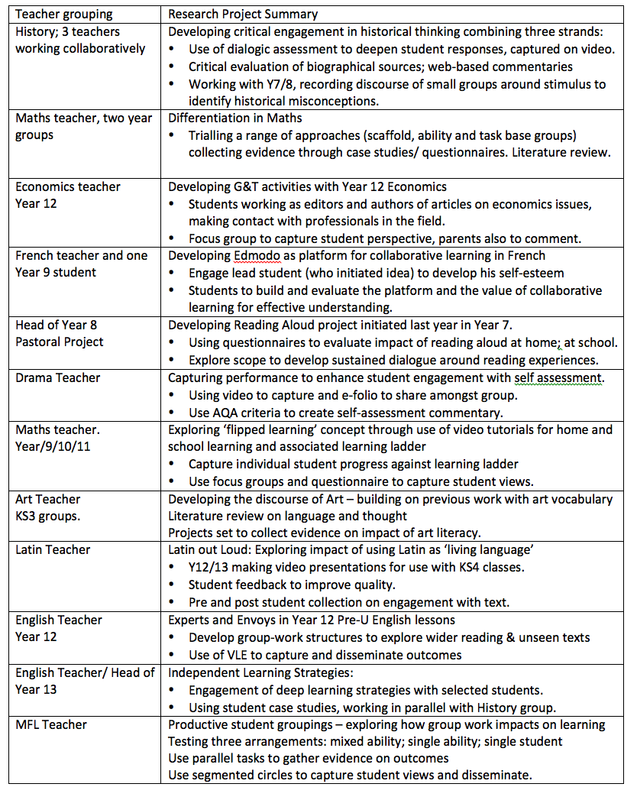 Although it has been articulated and organised in different ways over the years, we have always held the view that teachers should be both engaged with research and engaged in research as part of the CPD (continuing professional development) process. Teaching and learning is complex and, as professional learners, we need to participate in the process of finding out what works. Among our CPD processes at KEGS we have a number of avenues for engaging in research. This involves staff meeting at various points in the year in self-selected groupings to pursue an area of mutual interest. We take an extra staff day to facilitate this. (Who says we can’t?) There is a simple framework of exploration, evaluation and reporting-back. Some groups are cross-curricular, others are within subject departments. For example, I am working with my Physics colleagues on approaches to marking, along the lines of the ‘closing the gap’ concept seen at Saffron Walden. reporting findings for a peer audience. A key feature of the CamSTAR relationship is that Sue Brindley, a superb academic with a deep understanding of schools, teachers and schooling, visits us to support teachers in their work. She attended earlier this week and, as a result of the discussions that took place we now have some wonderful research work lined up. 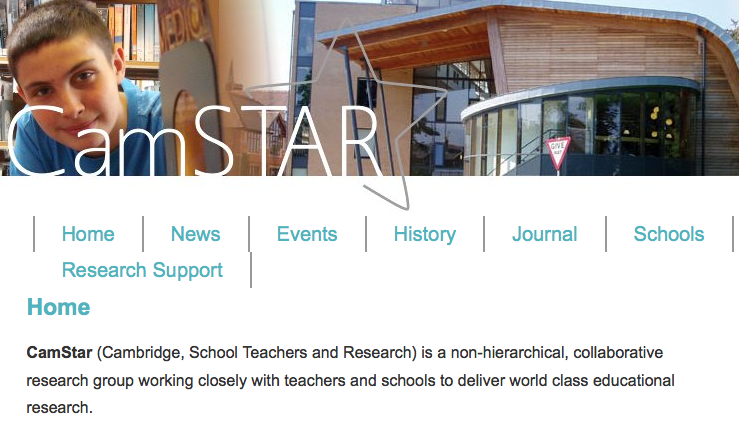 The projects are expected to run for between 12 – 24 months and the teacher researchers are expected to produce a report using a CamSTAR template, approximately 1500 words long, that can be fed into the CamSTAR group online, through conferences and in a publication of similar work across the collaborative. Teachers are highly motivated by the process; it is voluntary, self-directed and unpaid, yet they engage with it with great gusto because of the rewards that this level of rigour brings. The high quality support from Cambridge is invaluable although the gains are mutual as, through this process, we are adding to the sum of human knowledge in no uncertain terms!! That is what research is all about.